From left: Allegra Kent, Kay Mazzo, Gloria Govrin, Merrill Ashley and Wendy Whelan. Eduard Patino, Courtesy NDI. On Monday evening, four 20th century New York City Ballet stars joined Wendy Whelan in conversation for an event titled Balanchine's Ballerinas hosted by National Dance Institute, the dance education organization that former NYCB dancer Jacques d'Amboise founded in 1976. D'Amboise introduced the four ballerinas taking the stage as dancers who "graced Balanchine and were graced by him." Hearing the ensuing conversation between Wendy Whelan and Allegra Kent, Kay Mazzo, Gloria Govrin and Merrill Ashley proved just that; the sense of inspiration that George Balanchine gleaned from his muses, and the deep appreciation he had for each individual's unique traits. Jerome Robbins dancing in his living room in 1959. Photo by Philippe Haslman © Halsman Archive, Courtesy Jerome Robbins Dance Division, The New York Public Library for the Performing Arts. For the past year, companies worldwide have been celebrating Jerome Robbins' centennial; he was born on October 11, 1918. Starting September 26, The New York Public Library for the Performing Arts at Lincoln Center opens an exhibition celebrating Robbins which will run through March 30, 2019. The Library's Dance Division is named after Robbins; his collection is housed there, and during his life he was a tremendous supporter and frequent user of the performing arts holdings. Needless to say, they're pulling out all of the stops for this retrospective: a jam-packed gallery exhibit and a series of free, public programs. The exhibition, curated by historian Julia Foulkes, is titled "Voice of My City: Jerome Robbins and New York," and focuses on Robbins' relationship with his city (or as the NYPL is wording it, his "metropolitan muse"). From Fancy Free to West Side Story, NYC acted as the inspiration for many of Robbins' most-loved ballets and shows. The exhibition traces Robbins' life and work alongside the history of the city. "New York served as a laboratory for Robbins, where he observed people, buildings, traffic—how movement in space could carry meaning and beauty," said Foulkes in a statement. #TBT: All About Romantic Ballerina Fanny Elssler, Plus a Brand New Recreation of Her Famous "La Cachucha"
A portrait of Fanny Elssler, Courtesy Olga Smoak. This Thursday, we're throwing it all the way back to Fanny Elssler, one of the most famous ballerinas of the Romantic period. Elssler may have graced stages far before the age of reality TV and Instagram, but her story is anything but dry. Last week, the Historic New Orleans Collection put on a symposium on the history of dance in New Orleans, of which Elssler played a pivotal role. We spoke with dance historian Olga Smoak to find out more about why this ballerina is still so exciting... nearly 200 years later. But first, watch a recreation of Elssler's famous "La Cachucha," which she performed in New Orleans in 1841, danced by Rebecca Allen at the HNOC last week. Note the extreme tilts of the torso; they're part of what made Elssler such a captivating dancer in her day. Elssler in Cracovienne. Portrait Courtesy Olga Smoak. New York City Ballet's famous growing tree. Photo by Paul Kolnik, Courtesy NYCB. Snowflakes of the original cast, "The Nutcracker" at the Mariinsky Theatre, 1892. 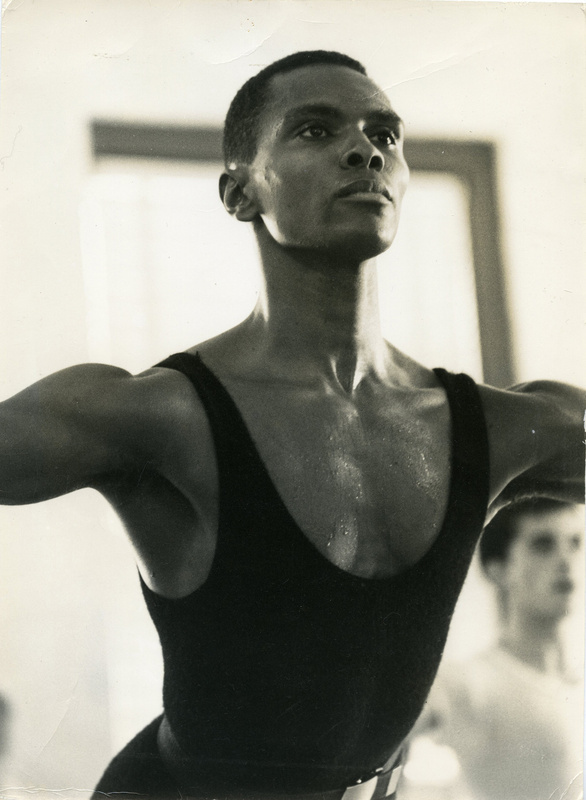 Photo by Walter E. Owen, Courtesy Dance Magazine Archives. In 1892 St. Petersburg, choreographer Marius Petipa and composer Pyotr Ilyich Tchaikovsky pulled the story off the page and onto the stage of the Mariinsky Theatre. 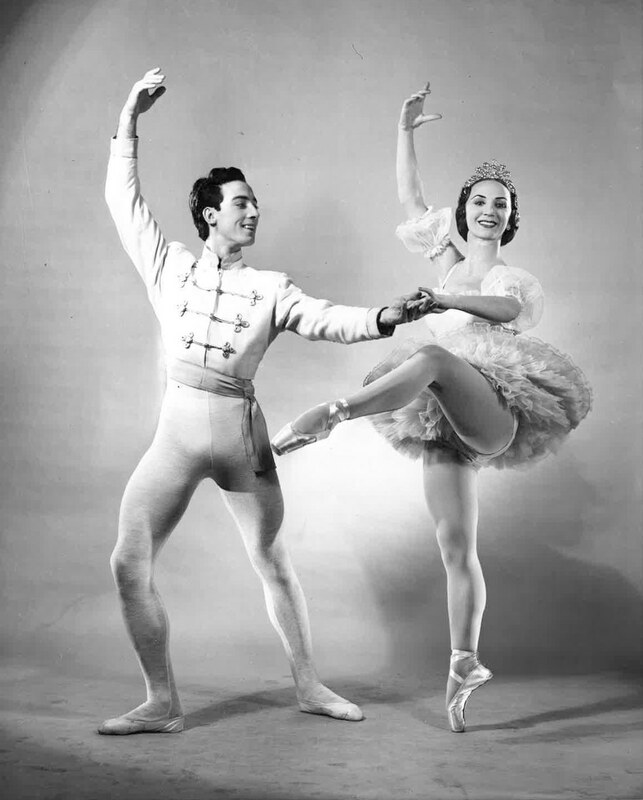 But Petipa fell ill while choreographing The Nutcracker and handed his duties over to his assistant, Lev Ivanov. Critics at the 1892 premiere were not pleased. Balletomanes felt the work to be uneven, and lamented the lack of a main ballerina in the first act. Many thought that the story was too light compared to historically based stories. Despite its initial reception, the ballet survived, partially due to the success of Tchaikovsky's score. Performances were scarce, though, as the Russian Revolution scattered its original dancers. 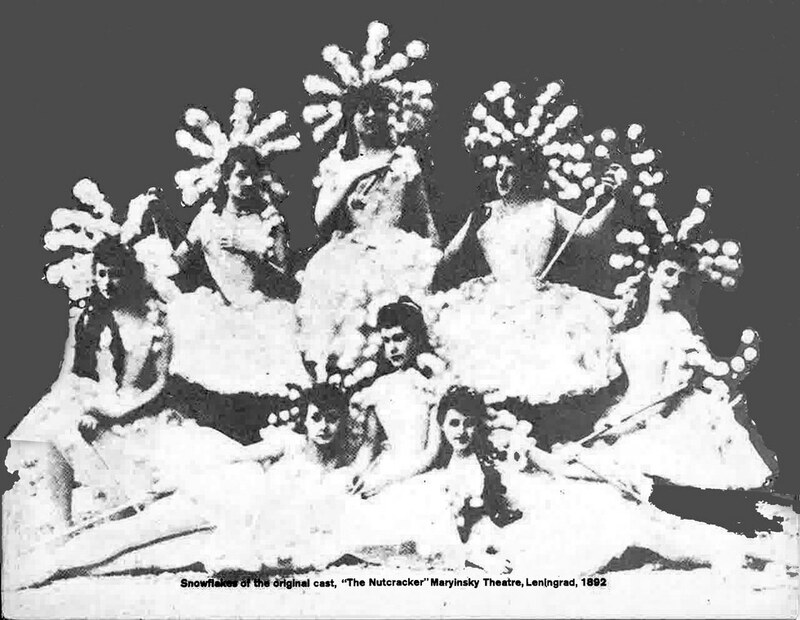 The Nutcracker's first major exposure outside of Russia took place in London in 1934. Former Mariinsky ballet master Nikolas Sergeyev was tasked with staging Petipa's story ballets on the Vic-Wells Ballet (today The Royal Ballet) from the original notation. The notes were incomplete and difficult to read, yet Sergeyev persisted, and The Nutcracker made it to the stage. Dancers from ballet Russe de Monte Carlo in "The Nutcracker" pas de deux. 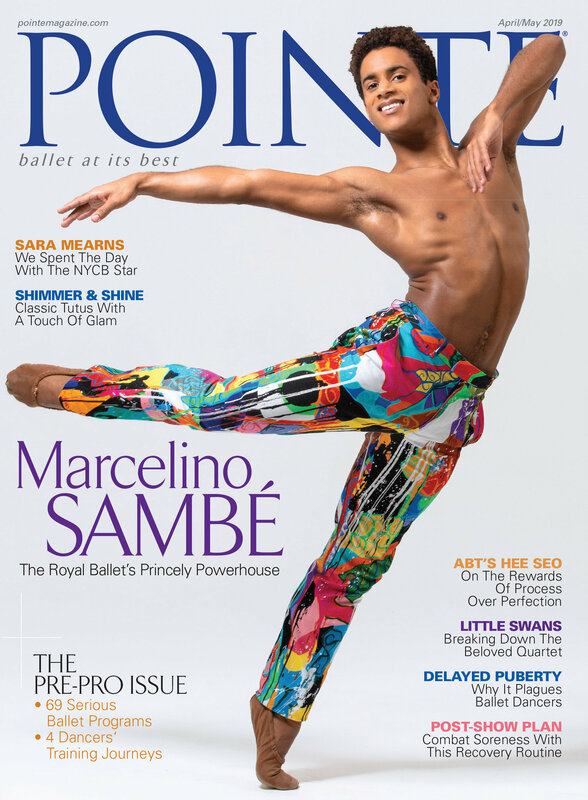 Photo Courtesy Dance Magazine Archives. Violette Verdy coaches PNB principal Elizabeth Murphy in "Emeralds." Photo by Lindsay Thomas, courtesy PNB. This year marks the 50th anniversary of George Balanchine's Jewels, and companies around the world are paying homage. While last summer's Lincoln Center Festival collaboration with New York City Ballet, Paris Opéra Ballet and Bolshoi Ballet was all glamour and excitement, Pacific Northwest Ballet is taking a reverential look back in advance of its opening performances next week. In 2014, PNB artistic director Peter Boal invited four stars of Balanchine's original 1967 cast—Violette Verdy, Mimi Paul, Edward Villella and Jacques d'Amboise—to coach the company in their signature roles. And, thank heavens, they captured it all on film. This 20-minute promotional documentary offers priceless footage of them in rehearsals, interviews and lecture demonstrations, offering fascinating insights into Balanchine's creative process and original intentions. Photo by Chava Lansky, Courtesy of the American Ballet Theatre Archive at the Library of Congress. Who says dancers don't eat? In 1979, the corps of American Ballet Theatre went on strike in a fight to increase their wages (starting corps members made a measly $235 a week). "We're underpaid and overworked" said soloist Rebecca Wright in a People magazine article from the time. Though the nearly two-month long labor dispute ultimately gave dancers a 40 percent wage increase and better benefits, the months without work left dancers tightening their belts even further to make ends meet. Their solution? A benefit performance and auction organized by Gelsey Kirkland starring Natalia Makarova and former NYCB dancer Edward Villella, stars who spoke out on behalf of the corps. The benefit brought in $10,000. One of the items auctioned off was Ballet Theatre Belly-Busters, a cookbook compiled by the dancers of their favorite recipes, complete with a hand-drawn cover. We got our hands on one of these original copies, and were surprised to see what an eclectic mix of delicacies the book contained, from hometown favorites to ballet-themed baked goods. From left: Irina Baranova, Alicia Markova and Nora Kaye posed in one of Jacob's Pillow's original farm buildings. Photo by Hans Knopf, Courtesy Jacob's Pillow Dance Festival Archives. This year, the Jacob's Pillow Dance Festival in Becket, Massachusetts, is celebrating its 85th season. Over the years, some of the world's greatest dancers of the 20th and 21st century have performed here. But without the help of two of Britain's biggest ballet stars during World War II, the festival might not have survived at all. Founded by modern dance pioneer Ted Shawn, the "Pillow," as it's come to be known, had been home to his company of Men Dancers since the early 1930s. By 1940, due in part to the outbreak of World War II, his company had disbanded, leaving Shawn deeply in debt and eager to realize his assets. In 1941, British ballet stars Alicia Markova and Anton Dolin leased the property, with the help of benefactor Reginald Wright. There they established The International Dance Festival, a school and summer residency for Ballet Theatre (now American Ballet Theatre). Many of the participating dancers, including Markova, had just left the Ballet Russes de Monte Carlo for Ballet Theatre, and the residency was a way of keeping them together. The dancers were not paid, so many survived on $10 a week in unemployment benefits, contributing $1.00 a day towards food and lodging. The first and third dances were choreographed by Domenico da Piacenza. The second dance, called a bassa danza, was choreographed by Lorenzo de' Medici. Do Ballets Have a Life Span? Bolshoi Ballet's Nina Kaptsova and Mikhail Lobukhin in "Spartacus." Photo by Elena Fetisova, Courtesy Bolshoi Ballet. If you were a subscriber to a respectable repertory theater company, you would never tolerate a diet of lustful Saracen princes, troops of tots running around in blackface, upstart Roman slaves versed in Karl Marx, dark-skinned serving girls with bejeweled navels and superwomen who destroy any man passing their way. Ballet lovers, however, are more tolerant, too much for my taste. For a few minutes of vivid, occasionally masterful choreography, the devotees of Terpsichore are willing to put up with nonsensical, dated or offensive librettos, and they lose their qualms (if they entered the theater with any) in a flood of tours jetés and grandes pirouettes à la seconde. Face the fact: Many of the ballets that audiences cherish today have simply aged out. The reasons are both political and social, and the dances that have not adapted to espousing contemporary values somehow look like stale period pieces.